Eternal Sunday proudly presents Not Mister Right: An Introduction To Canal Pop, an album that compiles some of the best songs recorded by Canal Pop, the synthpop music project led by songwriter and producer Emiliano Canal (who also happens to be the label’s director), from Buenos Aires, Argentina. “I spent these last years devoted full time to the record label” Emiliano explains “so my artistic project Canal Pop was not my priority, when I had some free time I recorded some songs and released them but without the time or energy to come up with a proper campaign. And it was a shame, because some of the songs that Canal Pop released were good and deserved better luck with the public”. This doesn’t mean that Canal Pop’s songs went unnoticed these years. Canal Pop is well known in the synthpop/ electropop global underground scene and specialized portals like Side Line (Belgium) and others write about him on a regular basics. Songs and remixed by Canal Pop have been released in compilations by labels and pages like Side Line and Alfa Matrix (Belgium), Sector44 (USA), Ninthwave (USA) and Electrozombies (Germany) (as well as by Eternal Sunday, Emiliano’s label). Not Mister Right: An Introduction To Canal Pop features 13 original tracks, and all of the songs are a proper sample of Canal Pop’s style: classic electropop arrangements and production, catchy radio-friendly choruses, crystal-clear voiced professionally produced and plays of words in the lyrics (in English, which is not bad considering that Emiliano is from Buenos Aires, Argentina, where people speak Spanish). The lyrics are about falling in love, being yourself, infatuation, electricity, being cool in Japan, dancing alone, girls who want to learn new things and girls that really enjoy phone calls. Several amazing singers collaborated with Canal Pop over the years and all of them are present here: Gaby Laguzzi, New York City’s Bea Conenna, Polette (who shared stages with the likes of Deep Purple and Shakira), Josefina Aufranc and recently with teen singer and TV actress Pauli Cugnata. “All of them are amazing professional singers with thousands of hours of live and studio work” says Emiliano, “I’m very proud of the girls I work with. Besides, they’re all very pretty”. All the songs were produced by Emiliano Canal except for the opening track “I Want You (To Be My Baby)”, which was produced by producer Osi Tejerina (who also directs a record label in Buenos Aires). 9 of the songs are featured in 2019 versions, with an improved sound. “Future Nights” was commercially unreleased (only as part of a free compilation). 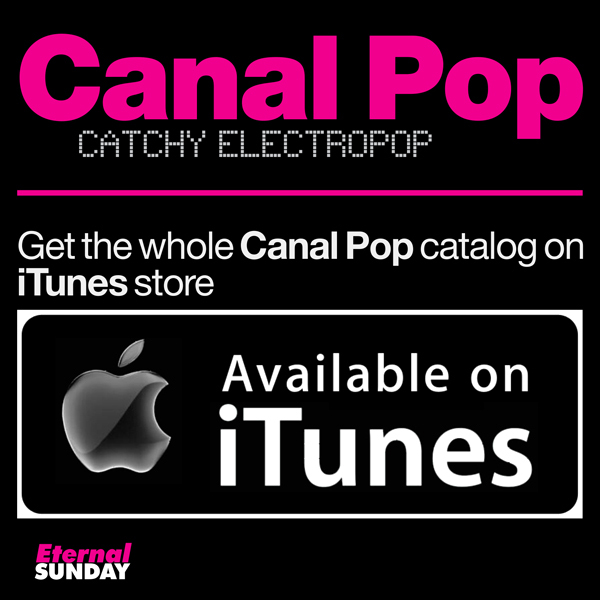 “A new Canal Pop period is beginning”, says Emiliano. “New songs, new singers, bigger and better plans”. In the meantime, the world can listen to Not Mister Right: An Introduction To Canal Pop to catch the mood. Canal Pop around the web.